Is Beyoncé better being a singer hoặc an actress? Which is your yêu thích Beyonce's studio album? 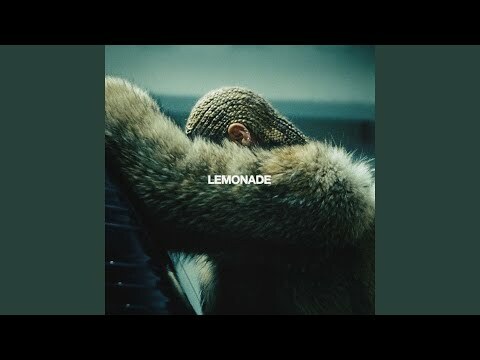 My hàng đầu, đầu trang 5 Beyoncé songs; which is your favorite? Has Beyoncé been lying about her age? What is two of your favourite songs bởi Beyonce? Ms. THird ward, your first câu hỏi - what is your aspiration in life? Oh... My aspiration in life... would be... to be happy. What bạn wear is all that matters." Beyoncé just cut off her super long hair! Beyoncé has decided to try out. a pixie cut, and she has shocked the world as much as Miley Cyrus did when she dumped her signature extensions a while ago. Beyoncé also dyed her hair blonde, and her haircut and style looks a lot. like Miley Cyrus’! So what. do bạn think about her hair cut? Why is Beyoncé # 32? Early in 2012, Beyoncé, the hottest chick in the game and the only one who gets to wear Jay-Z’s chain, gave birth to her first child. Aside from her duties as a new mom, Beyoncé already has a big 2013 lined up. Not only has it been announced that B’s set to perform in the halftime hiển thị at this year’s Super Bowl, but she was also recently cast as Queen Tara in Epic, an upcoming animated film. It’s no wonder that Forbes recently ranked B and Jay Z as the World’s Highest-Paid Celebrity Couple. They’re anything but Lay-Z. Remember Jay Z and Beyonce's baby started off a RUMOR and ended up REAL? Well guess what! The baby's name is Blue. And do bạn know what's so funny about that? Blue was the name of Jay-Z's old girlfriend before Beyonce. And blue is much thêm prettier than Beyonce. The biggest câu hỏi is... How could Beyoncé let Jay Z name the baby blue? Yes, Blue is a pretty name but its taken in a slot of Jay-Z's past! Blue looks JUST like Beyonce, so why not name her Beyonce? Beyoncé has become the mother of Blue Ivy Carter! Blue was born on January 7, the filgia Beyoncé and Jay-Z. Greetings! Beyoncé has become a mother! Blue was born Saturday, January 7,Ivy Carter, daughter of singer Beyoncé and rapper Jay-Z! Beyoncé has recorded a hospital in New York with a false name, Ingrid Jackson, and the couple has rented the entire the fourth floor of the hospital, for $ 1.3 million, in order to have a little 'privacy! Ariana Grande and Beyoncé both brought in serious cash with their Coachella performances! Beyoncé is all smiles while watching different stars perform at the 2016 Made in America Festival held at Benjamin Franklin Parkway on Sunday (September 4) in Philadelphia, Penn. Beyoncé absolutely slays while giving her live performance of the nước chanh album at the 2016 MTV Video âm nhạc Awards held at Madison Square Garden on Sunday (August 28) in New York City. Send SMS hoặc email Message to Beyoncé Real !